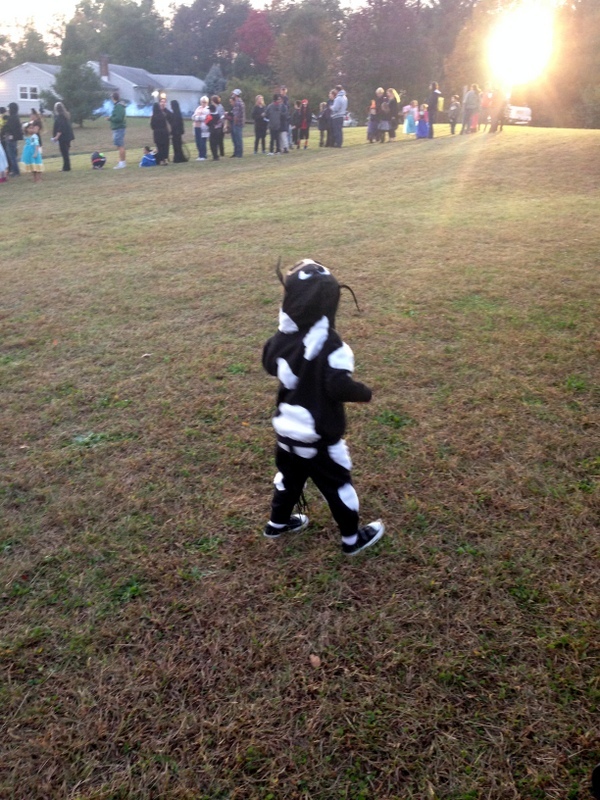 We went to a spooky field party in a park near our house last weekend. She walked in the parade at my school on Friday, and she hung out with the older kids. Plus trick or treating all over our neighborhood. 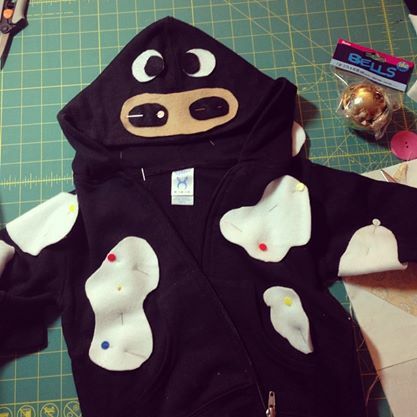 I made the cow by buying a black sweatsuit and hand stitching white fleece patches I cut all over it. I made the cow face out of felt. 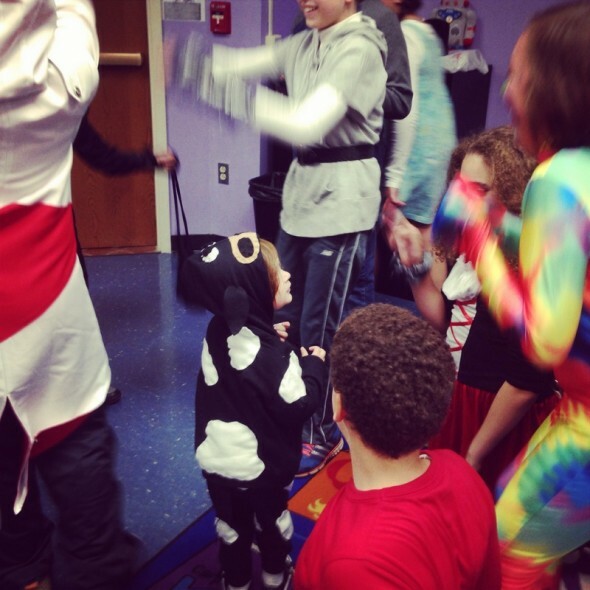 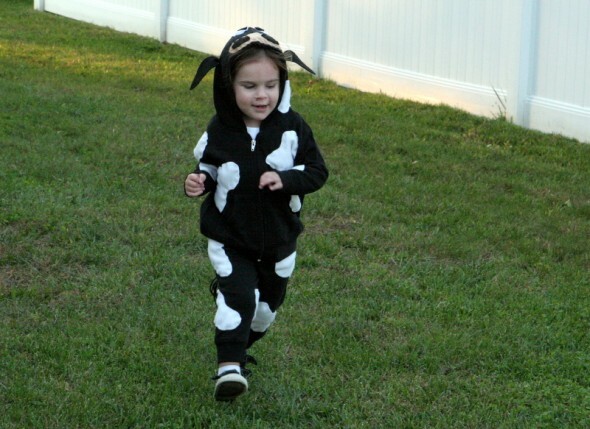 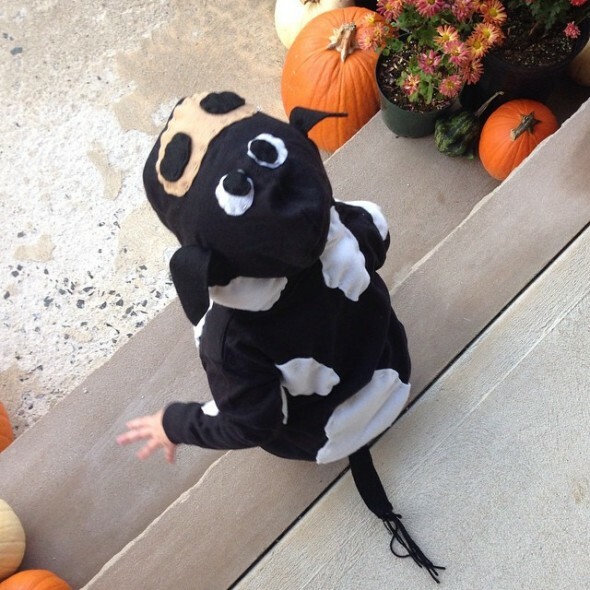 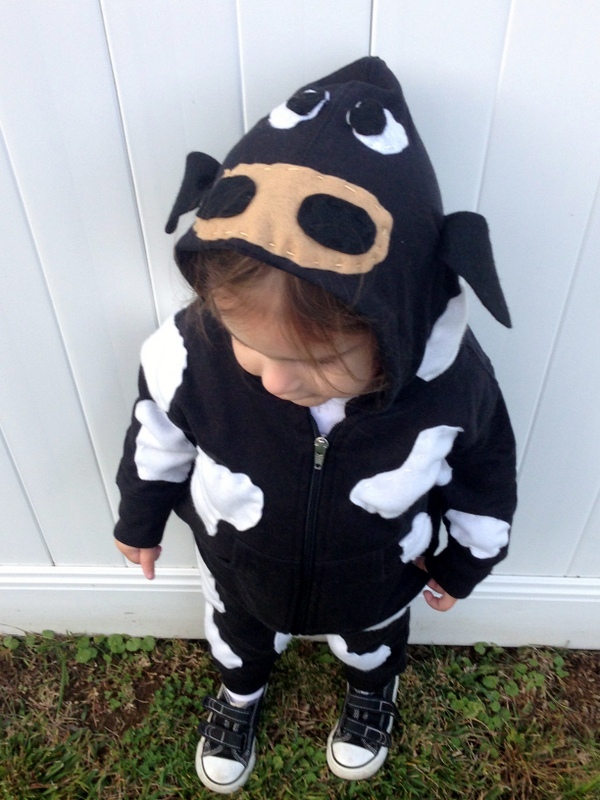 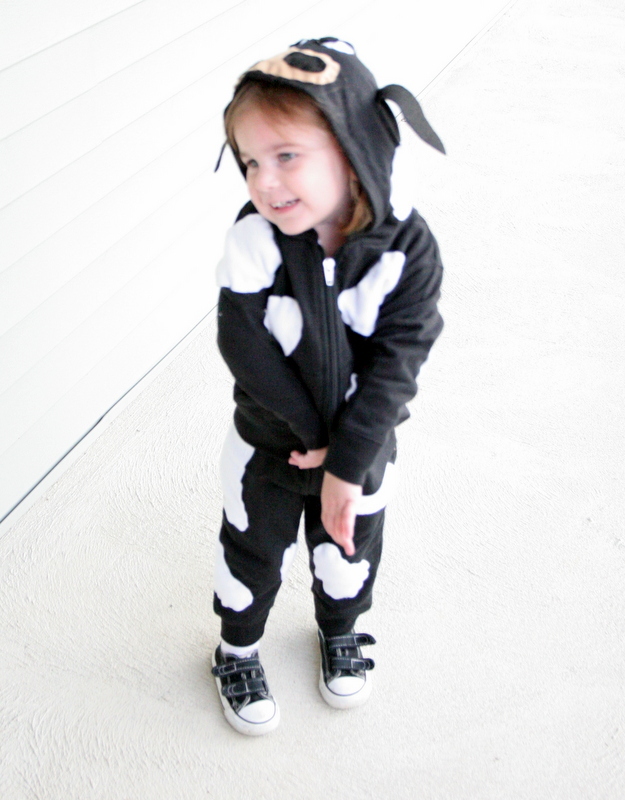 It was inspired by this brown cow costume from Domestic Adventure.